Those of you who have been reading the blog for a while know that I’m a huge fan of Cathy Marie Buchanan. (You can see my review of The Day the Falls Stood Still here and The Painted Girls here.) I was so thoroughly haunted by her debut novel back in 2009 that I wrote her fan letter, and we've periodically kept in touch online ever since. When I learned she was coming to speak at the Dallas Museum of Art on February 18th, I jumped at the chance to finally meet her in person. Robin Oliveira's My Name is Mary Sutter has been on my to-be-read list for quite some time. I knew nothing of her new book, I Always Loved You, until a few days ago. How I missed a love story about two artists, I have no idea, because that’s the sort of book I devour. I am, in fact, scrambling through this post because I’m anxious to return to I Always Loved You. I’m currently on chapter ten and already I know this story of Edgar Degas and Mary Cassatt will stay with me. Expect a review here in the next few weeks! About 300 people packed into the Horchow Auditorium at the Dallas Museum of Art. Cathy Marie Buchanan spoke first, making the audience laugh when she confessed to being a terrible speller who wanted nothing to do with the written word until the invention of spell-check. In fact, she had chosen her college major (biochemistry) partly because it would involve very little writing. 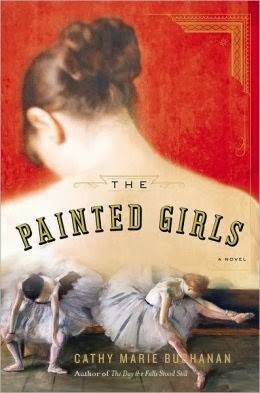 Her inspiration for The Painted Girls came from the years she spent training as a classical ballet dancer in her hometown of Niagara Falls, Ontario. Degas prints hung on the walls of her dance studio. Years later she watched a documentary about Degas’ statue, Little Dancer, Aged Fourteen, and knew she must write the model’s story. Her reading of the passage in The Painted Girls when Marie first sees her statue drew sympathetic gasps from those seated around me, especially as Buchanan had already discussed the hateful comments made about it at its unveiling. I admit I got misty-eyed, partly because Buchanan significantly changed the tone of her voice. I "heard" Marie and I ached for her. Robin Oliveira then took the stage and entranced the audience with a story of how Edgar Degas’ friends come to his apartment to sort through his things after he had died. Mary Cassatt and her maid were among them, and Mary was on a mission to find something in particular—the letters she had written to Degas over the years. She found them and kept them alongside his letters to her until near the end of her own life. Rather than risk their correspondence being found and published later, she elected to burn them, leaving the nature of her relationship with Degas forever a mystery. This sort of gap in historical record is gold for both a novelist and their readers. One of the most moving parts of Oliveira's speech came when she showed a picture of one of Degas’ prints that featured Mary Cassatt. A reader once showed up at an event with a copy of this picture tucked into a manila folder and said Oliveira would be interested in it. In the print, Cassatt stands in front of an Etruscan tomb featuring an image of a man and woman resting in each other’s embrace. A message to Cassatt? Perhaps. I like to think so. 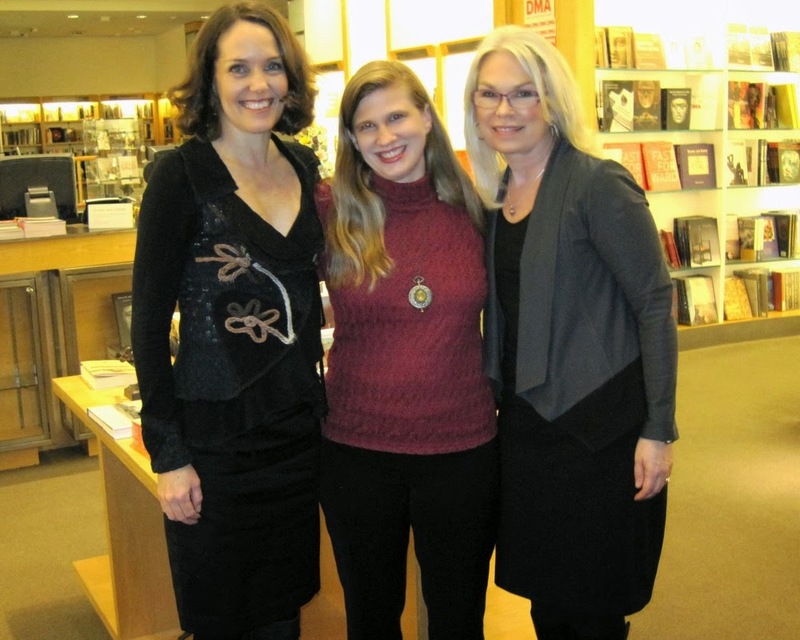 During the Q & A, both authors agreed their favorite part of the writing process is research and that they much prefer re-writing to composing a first draft. Buchanan is already researching her next book which, from the little she was at liberty to say, sounds both engrossing and entirely different from her other two novels. I Always Loved You just launched a couple of weeks ago; Oliveira is sorting through ideas for her next project, which is certain to be brilliant. If you have the chance to see Cathy Marie Buchanan or Robin Oliveira speak, definitely go. They are both brilliant speakers. Click on the author’s name to be taken to their ‘upcoming event’ pages and see if they will be coming to your area soon. Thanks for stopping by! Yes, it was a treat to meet both of them. Did you read Cathy's earlier book, The Day the Falls Stood Still? It's very different from The Painted Girls, but fantastic. 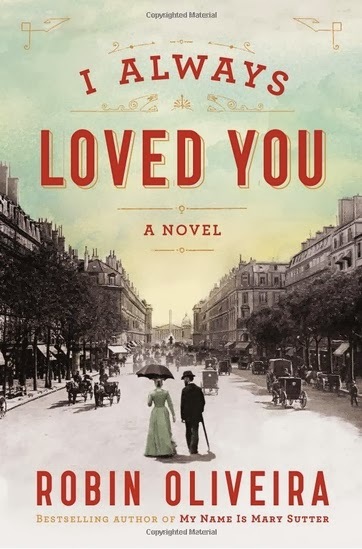 I just finished I Always Loved You and it was both brilliant and heart-wrenching. So wish I had read it before meeting her! Mary Sutter is next on my TBR list.